You can have all the pie you want, when you've got False Pie! A beautiful round frame, False Pie is lean, but packs a punch in the color department. 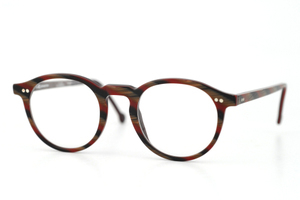 This frame is available in a swarm of custom colors (including the red flannel you see above), and the various textures really make this fashionable frame pop and become a welcome accent to any fashion choice!